Sleep issues are every parent’s bugbear. 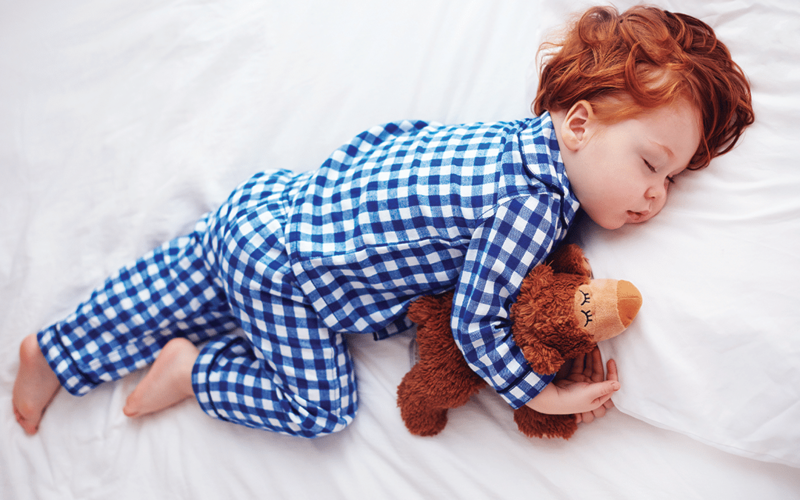 In this first article in a two-part series, Dr Laura Markham tells you how to teach your toddler the habit of falling asleep – and staying that way! 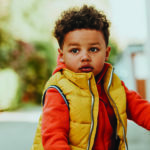 Toddlers need adequate sleep to rise to the developmental challenges that fill their lives, from controlling their temper on the playground to staying on top of their own bodily functions. 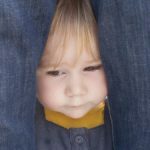 Even the stress of saying goodbye to Mom and Dad when the babysitter comes can be handled more resourcefully by a rested toddler than a tired one. Your toddler doesn’t know it, but she needs her sleep. The bad news is that some kids seem to be born ‘good’ sleepers, and some aren’t. After all, many adults are insomniacs, and while some adults’ ability to sleep is certainly influenced by environmental factors, some of our inability to sleep easily seems to be innate. This is complicated by the fact that young humans seem designed to sleep with other humans. You may get a better night’s sleep with your toddler in another room, but your toddler instinctively feels safer in your presence. The good news is that falling asleep is a habit, and all kids can learn it. While some kids have a harder time falling asleep than others, all children do eventually start falling asleep without a parent’s presence, and sleeping through the night most nights. It may take some time to develop that habit, but your child can learn to put herself to sleep, and to stay asleep, eventually. Toddlers who’ve been racing around the house can’t simply switch gears and decompress when you decide it’s bedtime. The last few hours before bed should be calm. Your goal is a sense of calm, safe inevitability. Dinner, then a bath, then stories, then kissing and tucking in all the stuffed animals who share the toddler’s bed, then prayers or blessings, then lights out while you sing to your little one, is an example of a common and very effective routine. Beware of too elaborate a routine, because they have a way of expanding to take more time. But don’t think of bedtime as a chore that’s taking too much time. Think of it as the best part of the day, when you get premium quality time with your little one. Toddlers who are always showing oppositional behaviour may resist moving along with the bedtime routine. The best way to sidestep this is to have the clock, rather than you, be the bad guy. Create a chart with photos of your child doing all the steps of the bedtime routine, with a clock time next to the photo. Then point to the photos as you go through the routine every night. Over time your kid will begin to move herself through the routine. Toddlers need a set time to go to bed every night, so their bodies begin to expect sleep. Most toddlers do better with an early bedtime, between 6.30pm and 7.30pm. 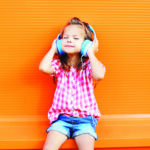 Dim lights in the hour before bedtime, as well as slow, calm routines, help kids’ bodies know that it’s time to sleep. If you can take her up to her bath at 6pm, be in bed at 6.30pm for stories, and turn the lights out at 7pm, she’s much more likely to fall asleep than if you put her into pyjamas at 7.25pm and snap the lights off. The key is to watch for those yawns that signal she’s getting sleepy. If she kicks into ‘overdrive’ mode, her body will be pumping out adrenaline, and getting her into bed will be much harder. All children go through normal sleep cycles in which they wake just slightly and then settle into deep sleep again. Your goal is to ensure that discomfort doesn’t wake your child during those periods of slight waking. Even though she can sleep soundly through the noise from the TV while she’s in a deep sleep, it will wake her when she gets to a more shallow part of the sleep cycle. Consider a white noise machine. Darkness matters, too. Blackout curtains or room-darkening shades can be invaluable, especially in the summer months when your toddler will be going to sleep while it’s still light outside. Warmth matters ‒ if your toddler kicks her covers off, make sure she sleeps in warm PJs with feet. And of course, once she’s out of nappies, be sure she uses the bathroom last thing. Some toddlers just need one, especially during growth spurts. Warm milk, a slice of turkey, a piece of toast, something calming and predictable, not too interesting, and without sugar, works best. 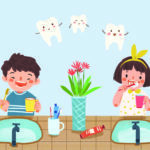 If she can eat it at a snack table in her room while you read a bedtime story, before brushing teeth, you can move efficiently through the bedtime routine. If she still breastfeeds to sleep or falls asleep with a bottle, you’ll want to break that association, so that when your child wakes in the night she can put herself back to sleep. She can still breastfeed or have her bottle, but then should brush her teeth and fall asleep without food in her mouth. Although every child has individual sleep needs, most kids are not ready to give up naps until they’re three. Going napless before that just makes them cranky and adrenalised, making bedtime that much more challenging. Your grandmother was right: kids really do sleep more soundly when they get more outdoor play. Laughter is also essential, because it transforms the body chemistry to reduce stress hormones. Often, kids who have a hard time settling at bedtime have a ‘full emotional backpack’ and more laughter earlier on will help them fall asleep and stay asleep. If laughter isn’t enough, your child will show you with oppositional behaviour that she needs more help to empty all that stress and go to sleep. In that case, she probably needs to cry before she can settle down to sleep. Most toddlers fall asleep easily if you lie down with them, and many parents do this. Other parents resist, because they often fall asleep themselves, and lose their evenings. This is an individual call, and there is no shame in waiting till your child is a little older before expecting her to put herself to sleep ‒ it does get easier for kids as they get older. Many parents who are apart from their children during the day treasure this time with their kids, and love being able to go to sleep early, then get up early and rested. One downside of this habit is that if the child is not in your bed, you will need to move, which wakes you up. The other downside is that when she awakens slightly in the middle of the night during normal sleep cycles, she may well miss your presence and come looking for you. If you aren’t willing to let her crawl into your bed at that point, this may not be a sustainable routine for your family.